Once again, Ava DuVernay Executive Producer of the resounding SELMA, leads us through a sensitive but powerful cinematic voyage, this time, detailing the big business of mass incarceration and its menacing of American Civil Liberties, especially the harmful impact on People of Color. 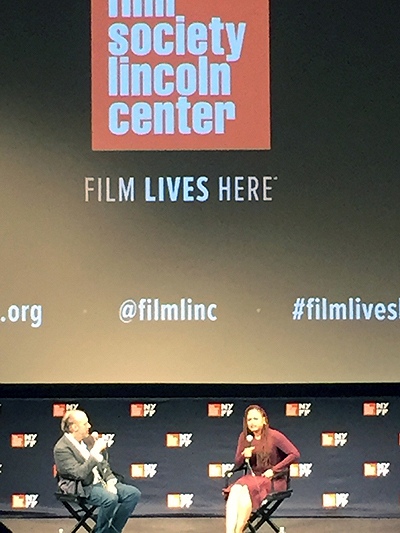 DuVernay challenges audiences to examine the 13th Amendment, its weaknesses and vulnerability for exploitation. New Yorker Contributor Jelani Cobb , Law Professor Michelle Alexander, author of the The New Jim Crow: Mass Incarceration in the Age of Colorblindness and Harvard scholar and filmmaker Henry Louis Skip Gates, Jr. are a few of the notable talking heads who help narrate about the influence the amendment has exerted on and within the African American community – pointing to a direct link between the ending of slavery and the need for continued free labor in the United States. The director’s clever mirroring of past and current events boldly articulates the problematic issues the 13th Amendment poses for people of African and Latin descent as well as immigrants. Archival newspaper clippings and scenes from D.W. Griffith’s 1915 film, THE BIRTH OF A NATION, demonstrate the insidious criminalization of African Americans following the civil war. One-hundred years later the same community is plagued by President Ronald Reagan’s “War on Drugs” – both resulting in the mass imprisonment of African Americans. DuVernay’s relatable parallels throughout the movie are resounding. Ava DuVernay, left, talking about 13TH at a NYFF54 Q&A. She covers a large span of America’s prison and legislative history. Every other decade is punctuated with a relatable story that has, in the past, garnered major contemporary news coverage. My favorite is the recount and 70s footage of “intellectual activist” Angela Davis and her famous 1972 trial when an all white jury acquits her of kidnapping, murder and criminal conspiracy. Her testimony precedes the story of Black Panther activist Fred Hampton, who was assassinated by the Chicago Police Department in his Chicago apartment while he was lying next to his pregnant wife. Both activists were on the Federal Bureau of Investigation’s 10 Most Wanted Fugitives List. The film not only draws on assertions of the esteemed narrators, but makes some unlikely parallels between Florida’s Stand Your Ground law, legislation and the American Legislative Exchange Council, a political lobbying group accused of unscrupulously influencing legislation for the purpose of monetary gain. During a Q & A at the Walter Reade Theatre at Lincoln Center, Director DuVernay discussed what sparked her interest in the inconsistencies of incarcerated African Americans versus others. She said her journey started with her desire to know more about “the prison industrial complex and punishment for profit,” implying that her research led her to making the connections audiences can see in 13TH. DuVernay also took the time to give her thoughts on a scene she refers to as “dignified man,” a segment she recounts as being difficult to watch: The audience is reintroduced to black and white footage of a well dressed, middle aged, African American man, surrounded by an angry mob of white men who have been pushing and shoving the gentlemen. “Dignified man” responds only by constantly picking up his hat that keeps falling on the ground as a result of the altercation with the angry mob, and then he simply walking away. Once again, in a brilliant display of cinematic genius, DuVernay pans back and forth between the “dignified man” scene to that of a 2016 President-elect Trump rally. An angry mob of white men engaging in taunting behavior similar to that of “dignified man,” only this time their aggression is directed towards a young African American woman.